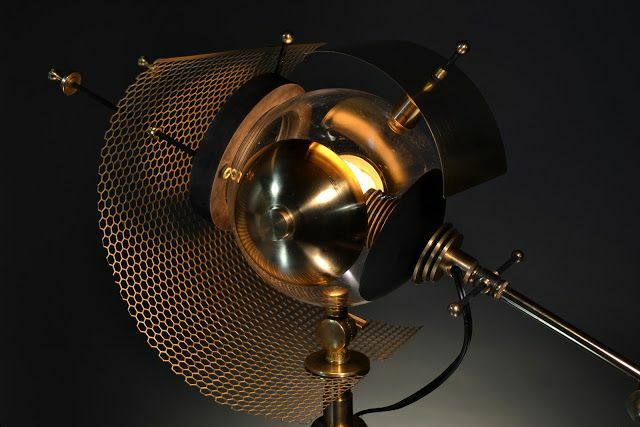 For people interested in home decor with a specific theme or just something with an artisanal feel, sculptor Art Donovan has recently released his newest handmade lamp inspired by the Event Horizon sighting of an actual black hole. Two weeks ago, I had finished this design called, “Event Horizon” to find that the subject of Black Holes and that incredible, historic image was all over the news last week. My own “E.V.” was inspired by both my NASA experience and also the 2014 Christopher Nolan film, “Interstellar”.